Skate Lace Hook & Tightener is made for Roller Skates, Ice skates, Inline skates and all boots or shoes that require extra strength to tighten. Pulls Laces up nice, fast and tight for better fit. 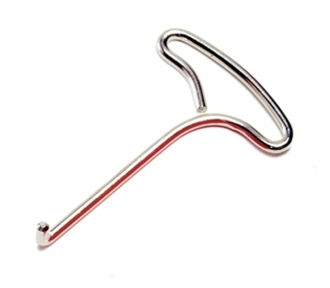 An important tool for anyone who has laced footwear that requires extra finger strength.